As we enter the final month of ESA astronaut Alexander Gerst’s Horizons mission, it is time to reflect once more on the crew’s busy schedule. From science to spacecraft and even spacewalk preparation, there is never a dull moment in space. A regular feature of the Horizons mission, Myotones was back for its fourth and final in-flight session. With the help of crewmate Serena Auñón-Chancellor and a non-invasive, roughly smartphone-sized device called a MyotonPRO, Alexander performed several activities aimed at testing the tone, stiffness and elasticity of his muscles. Further studies will be performed when he returns to Earth, providing valuable information about the impact of microgravity on the muscular system. During spaceflight, researchers anticipate muscle stiffness will decrease – particularly in the muscles that are most important for postural support such as the paraspinal muscles of the neck and back and the hamstrings. Other muscles, such as the shoulder and arm muscles are expected to remain relatively unaffected. 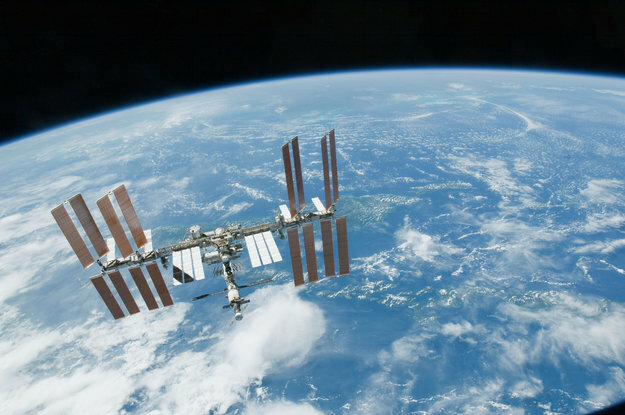 By gaining a better understanding of exactly how muscles are affected by microgravity, researchers are better able to identify critical risks and develop countermeasures. This kind of research can also help with treatment back on Earth where many office workers and labourers are affected by elbow and back strain, and the elderly and immobile experience muscle stiffness or a loss of function. As forecast in last week’s science summary, this week Alexander also uninstalled the Matiss experiment ready for its return to Earth on Soyuz MS-09. A continuation from ESA astronaut Thomas Pesquet’s Proxima mission, this experiment supports the development of antimicrobial surfaces and treatments. Mitigating biocontamination is a major focus for crewed spacecraft and future habitats on the Moon and Mars as microorganisms could pose significant risks to crew health and equipment. Making surfaces easier to clean will also win points with the Space Station crew, who share responsibility for keeping their home and workplace tidy. Yes, even as an astronaut you must do your weekly chores. 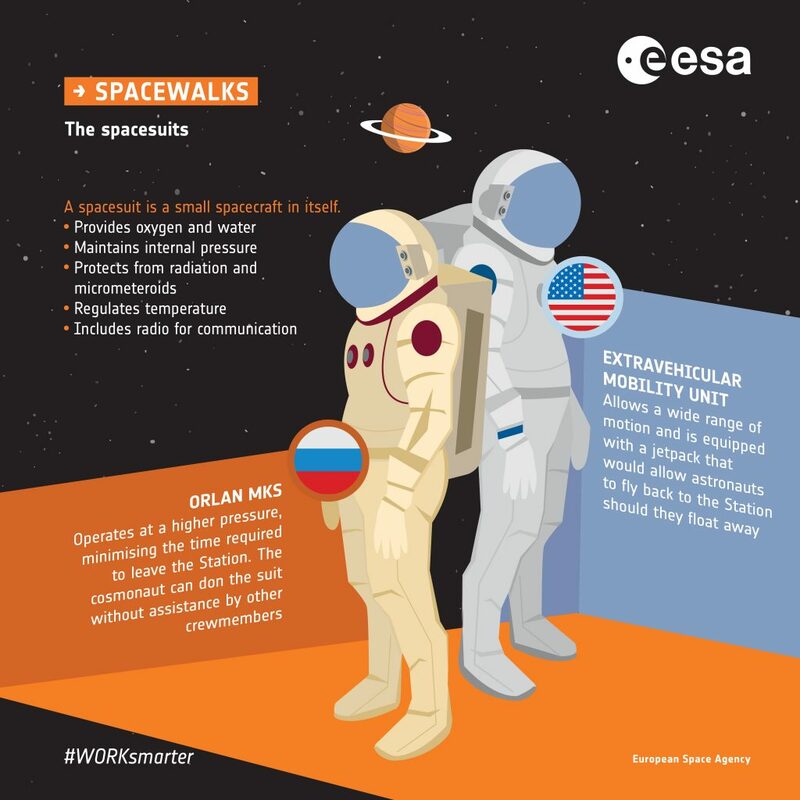 The eighth spacewalk of the year is fast approaching, and this time it will be cosmonauts Sergei Prokopyev and Oleg Kononeko who don their spacesuits for the sortie. Scheduled to take place on 11 December, after Oleg and his fellow crew members Anne McClain and David Saint-Jacques arrive on their Soyuz MS-11 next week, this spacewalk will see the pair inspect the outside of the spaceship that will return Sergei, Alexander and Serena home. In preparation for the spacewalk, Alexander and Serena helped Sergei check the Russian suits for any leaks. The first week of December brings the launch date of Expedition 58 crew members Oleg Kononeko, Anne McClain and David Saint-Jaques. The Soyuz MS-11 is scheduled to be launched from Kazakhstan on Monday 3 December and reach the International Space Station that same day. The following day, SSpaceX’s 16th cargo resupply mission is also expected to be launched. This will deliver over 2 540 kg of science and research, crew supplies and vehicle hardware, with Alexander and Serena ready to grapple it upon arrival using the Station’s robotic arm. Alexander will also replace passive detectors for the DOSIS experiment that measures radiation on board. In the meantime, let’s see what Cimon says in this clip from on board.